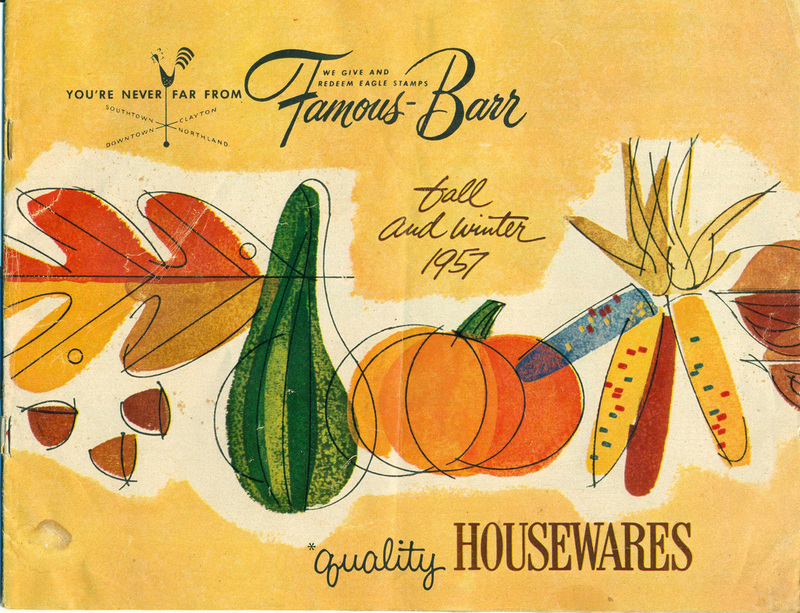 Today we have some department store catalog covers (1958 and 1957, respectively) scanned by flickr user NWW. I've been admiring these for a few days now. 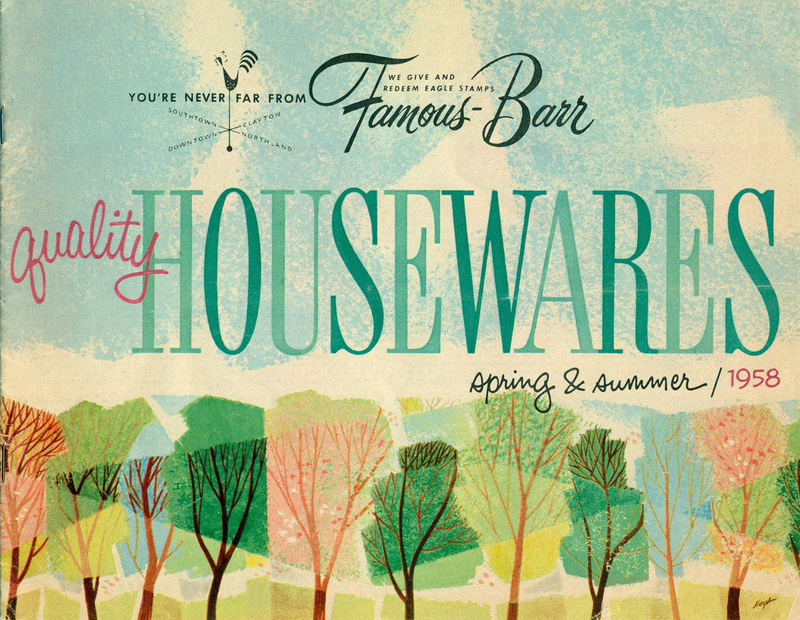 The type is well considered, the lettering and illustrations are so wonderfully playful. Love at first sight. Apparently Famous - Barr was a division of Macy's from 1911 to 2006.